The kidly adventure will take place in the attraction's outdoor Victorian Garden on the day before the holiday. The kidly adventure will take place in the attraction's outdoor Victorian Garden on Saturday, April 20. SATURDAY, APRIL 20: And while the hunt, or "The Hoppening" as the Winchester Mystery House cheekily calls it, will be the sunshiny celebration's centerpiece, there shall be other doings, including a bouncy house (which, yes, is a house in name, though it will assuredly not be as large as the house it is placed next to). A glitter tattoo? Your tot can score one of those, too, neat. The chance to jelly-bean-up? That feels just right for Easter Eve. As for the Easter Egg Hunt? There'll be, whoa, 5,000 eggs, as well as "13 golden surprise egg." 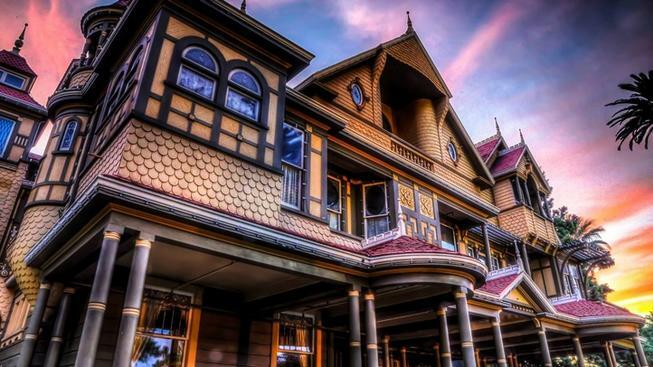 Indeed, Mrs. Sarah Winchester was enamored of the number 13, which is the symbolic stand-out number of the house. NEED ALL THE TWISTS 'N TURNS... of the cheery to-do? Start here. It's on from 10 a.m. to 2 p.m., by the by, giving all of your little bunnies, and the family's bigger bunnies, time to hop, hop, hop around to other Easter Weekend activities.